Perhaps you’ve never really thought of socks as anything other than fashion accessories. Perhaps you’ve never thought of them even as that. After all, the whole point of socks is just to keep your feet clean, covered, and maybe even warm during the winter months. So why stress about them? Well, the reason you should is that socks are integral to keeping your feet not just clean and covered, but comfortable and protected as well. Think about it: your feet are trapped hot, sticky, closed environment all day—assuming you’re wearing shoes. It makes sense to want to keep them dry and cool so that they don’t distract you from your day-to-day activities. Doesn’t it? You’ll want to pay attention to the way they wrap around your feet, too. You don’t want them too tight, or they’ll constrict blood flow. And you don’t want them too loose either, or they’ll keep sliding down and annoying you as you walk or run—sometimes to the point of even coming off your foot altogether! The best socks are not only stylish but also functional. That’s the most important thing. It’s imperative, therefore, that you choose your socks with the proper diligence. This is why this list has been compiled—to help you find the best sock to fit not just your budget, but your lifestyle. The focus of this list is on socks that are constructed using Coolmax fabric. What’s Coolmax, you might ask? A brand name, widely recognized for quality, Coolmax refers to a number of specially-designed polyester fabrics that was developed by Invista in 1986. It is specifically engineered to wick sweat and moisture away from the skin and aid in evaporation over a wider area of skin. In short, it is above and beyond the regular old natural fibers, such as cotton. Its uses also vary and are worth nothing. If you’re planning on doing any serious physical activity, regular socks made from the regular material are just not going to cut it. 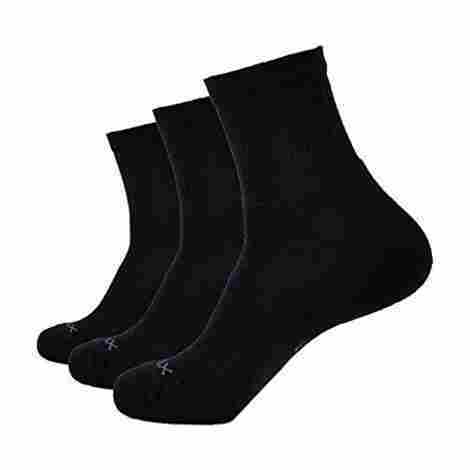 Coolmax socks wick sweat effectively and hasten evaporation, keeping you dry as you exert yourself. The properties of CoolMax fabrics, in general, are so superior that CoolMax is often incorporated into all sorts of athletic gear, ranging from underwear to sportswear, to mountain climbing gear, to running gear. And it doesn’t stop there. If you experience hot flashes or sweat excessively at night, there are mattress covers and sheets that are specifically designed with this to keep you cool and dry. Is that convincing enough? Well, it should be. And it should be more than enough reason for you to consider CoolMax socks as your next purchase. Take a gander at the following list, and make your choice based on what suits your needs. If you've ever been on a serious hike, you know the pain of blisters on your feet. Now try going again--but this time with a pair of Fox River Wick Dry CoolMax Liners. You'll see the difference instantly. These liners are not only comfortable, offering support for your feet, but they actually work to prevent rubbing and thus prevent painful blisters. Even on long hikes, up hills and mountains and across terrains, these liners will work overtime to keep your feet dry and free of pain. Pay attention to the items on the list! They're all constructed using Coolmax fabrics but to varying degrees. 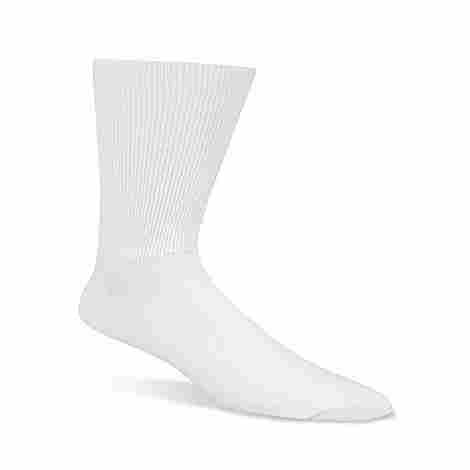 This particular pair of liner socks is designed with 93% CoolMax, so you know you're getting what your feet really need to stay dry and comfortable, so you can do what you've got to do without being held back due to sore feet. Nothing is worse than trying to hike with your feet wet. At the same time, when you're done with your hike, there's nothing worse than smelly, wet socks. With these, you won't have that problem. Your feet will stay dry and your sock liners will too. Dirt cheap, but incredibly useful. How can it get any better? Being liners, they are thin and extremely lightweight, but unlike others socks with those same qualities, these are incredibly durable. So you won't spend much, but you'll get something of quality that'll last you a long time and aid you to get the most out of life. That's called a win-win. 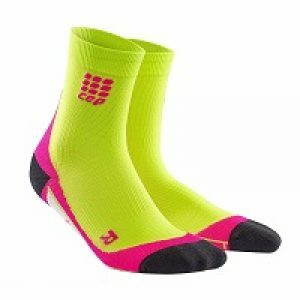 Darn Tough Coolmax Micro Crew Cushion Socks really are "darn tough." While most socks may slide down and annoy you, or bunch up to the point where you'd like to take them off and throw them down whatever mountain you're trying to climb, these CoolMax socks won't do that. And these aren't liners--they're real, strong socks. In fact, the company believes so much in their socks that they even offer a lifetime guarantee. If you've ever owned a pair of socks, you know very well that they aren't really long-term items--you do have to replace them after some time, due to general wear-and-tear. These are specifically constructed with 34% Coolmax Polyester, 37% Nylon, 26% Acrylic, 2% Lycra Spandex, and 1% Other fiber, to alleviate those concerns. They are guaranteed to last you a heck of a long time. Remember, in choosing socks--or anything, really--you've got to make certain that they've been designed to do what you need to be done. In this case, these CoolMax socks were made specifically for hard physical activities. You know, those activities that make you sweat and breath hard; those activities in which blisters and chafing and discomfort only serve to slow you down. These are made to endure and to help you endure your physical exertions. Seriously, purchasing this is purchasing something that can potentially last you a lifetime. The company even offers a lifetime guarantee. Blisters and chafing may be uncomfortable and may occur just due to the cheap make of other socks, but it also occurs when good stops finally stop being socks! What happens if you're hiking up a steep mountain and your socks suddenly rip and come apart? Now your feet are exposed to insides of your boots and prone to rubbing up against the sides of them. Believe me, you don't want that happening to you--and the Darn Tough Coolmax Micro Crew Cushion Socks will prevent it. All great things have a price, they say. Nothing's free in this world. These do run a bit on the expensive side--but perhaps this only true in the short term. In the long term, you may find that these were the cheapest buy of them all. They're as durable as can be, and come with a lifetime guarantee that can't be beaten. In short: they're very much worth it. Maybe what matters you most is comfortability. If you’re trying to get things accomplished, a comfortable sock can make all the difference. A comfortable, properly-fitting sock won’t ride down on you, for example. That means less stopping to adjust. A comfortable sock keeps your feet cool, even as you sweat profusely, which means you’ll be motivated to do more, to sweat more. If all this is enticing to you, you need to take a look at the Rockay sock. If you know anything about fabrics, you know just how superior merino wool is to other options. It is naturally odor resistant; that means you won’t end up with stinky feet at the end of the day. It also works--naturally--to wick moisture. And that means you won’t end up with damp feet either. If you’re going to be exerting yourself physically in the dark, you might want to get yourself a decent headlamp. But in some dark environments, a headlamp is overkill. For night time running, for example, these socks are the perfect solution. They’ll allow you to be seen even in the darkest of conditions. For their value, these socks are very reasonably priced. They may be a bit more expensive than other socks, but other socks don’t offer as much value. In short, these are a great buy and totally worth the investment. Maybe you're not an athlete. Maybe you're not even a sporty person. Just a light jog in the morning is fine with you--no need to go crazy, you have other things to do. Or heck, maybe you're someone who actually needs something comfortable to sit around in, and regular socks just aren't good enough, because your feet are super sweaty. 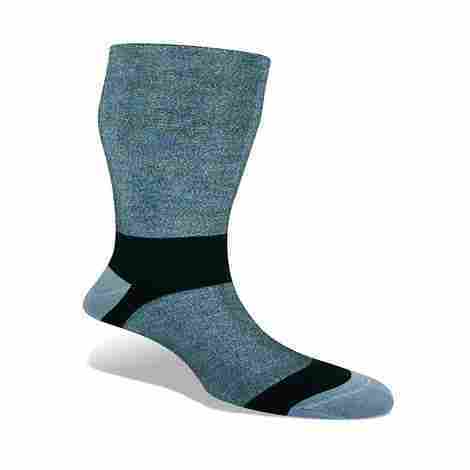 Well, don't sweat it--the PowerSox Men's Coolmax Cushion Low-Cut Socks is just what you need. Once you try them, it's almost guaranteed you'll never go back to regular old socks again. Maybe your job demands that you stay on your feet all day. Or maybe you work a lot of hours and your job environment isn't one where you can walk in wearing flip-flops. Well, these socks were made for you in mind. If you wear socks and shoes for an extended period, you know very well--even if you don't want to admit it--that your feet will eventually get smelly and wet. Well, not with these low-cut Coolmax ones. They'll remove all moisture and keep your feet dry and cool for as you wear them. While CoolMax fibers are the main thrust of this list, they are generally geared towards performance and functionality, allowing you to do those things you want to do. These socks were made instead of comfortability. Everyone knows that in the heat, cotton far surpassed polyester fibers, even polyester fibers offer a wide range of advantages--with these low-cut CoolMax socks, you get the best of both worlds. They'll keep you dry and comfortable, indoors as well as outdoors in the cold or in the blazing summer heat. These are quite reasonably-priced--they're even inexpensive when you consider you get three pairs to a purchase. And remember, these are for daily wear, and they're much higher quality than regular socks. By higher quality, it is meant that they'll keep your feet more comfortable and actually dry and clean, unlike regular socks, which just soak up the moisture and leave you wet. In other words, this is a great buy. If you have something to do that requires you to wear boots, this needs to be on your list. 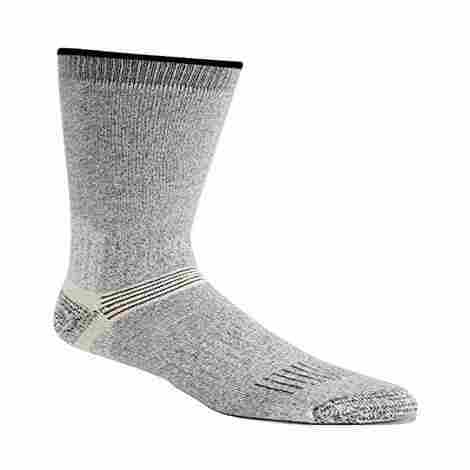 The Bridgedale Ultralight Coolmax Liner Socks are over the calf fits and are perfect for hiking or mountain climbing or anything really that's guaranteed to make you sweat bullets. They're thicker than other liners on this list and are constructed specifically to be so without being bulky and heavy. That means they're lightweight and extremely durable. At the same time, they do what they're supposed to do: they prevent blisters and rubbing and keep your feet dry and secure. Even if you walk through long, swampy, muddy road deluged with rain, you'll emerge with feet that aren't shriveled and pruned. It's a must-have for an outdoors enthusiast. That means its padded extra around those very areas--the heal and toe--that are most prone to wear and tear. Do you know what that means? That means that it'll last longer, even as you use it more. Most socks and liners, especially those socks and liners that are designed and marketed for performance, end up withered and useless after a certain point. With the intricate way these are constructed, you won't have that problem. You always know a great product when the company who produces them or distributes them stand behind them one hundred percent. Think about it: they must know you won't have issues with them, and that's why they offer to help you in the event that you do. They want a lose a dime because they know you won't have reason to utilize their guarantee. In the end, you feel secure, and they win a very happy customer. It's a win-win situation if there ever was one. It's not too cheap, not too expensive. You actually get two pairs for one purchase, so it's actually not a bad deal. And considering the quality of the liner itself, it's a darn good deal. It's designed not just with Coolmax, although it does comprise 57% of its makeup, but also with a blend of other fibers that really amplify and add to the benefits of the Coolmax. These fibers include Nylon, Endurofil, and Lycra. All and all, it's a pretty good deal. Maybe you're not an outdoors enthusiast. But you're not a couch potato either. You need something that can allow your feet to breath as you work out strenuously at the gym or at the basketball court, or while playing tennis, soccer, or whatever it is you like to play. Does it bug you that so many quality performance socks and sock liners come up almost to your knees? Well, your search is over. 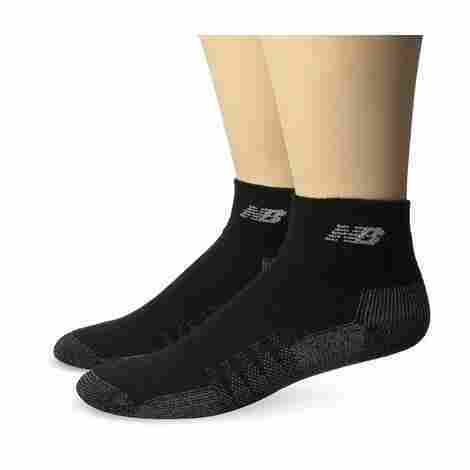 With these CoolMax socks from New Balance, you have something that comes up only to your ankles, while still being comfortable, breathable, and moisture managing. As far as gym socks go, the bucks stop right here. This alone makes it far more superior to other gym socks. If you try running and beating on and really going to town on regular gym socks, you find that they'll tear and show signs of wear and tear. Not these New Balance CoolMax socks! They're reinforced at the heel and toe areas, the very areas that generally begin to thin out and tear first. This means that you'll have them for longer, and be able to use them for more. It has been stressed over and over the importance of keeping your feet sweat-free and cool. It's just common sense. If you feel good, your performance in the gym or on the court or on the field will show it. And no other fiber offers the kind of moisture management than Coolmax. The very fact that these socks for the everyday athlete were constructed with this in mind is more than enough of a selling point. You get two pairs for a decent price. And most importantly, you get socks that are actually worth something--more, even, than the price you pay. 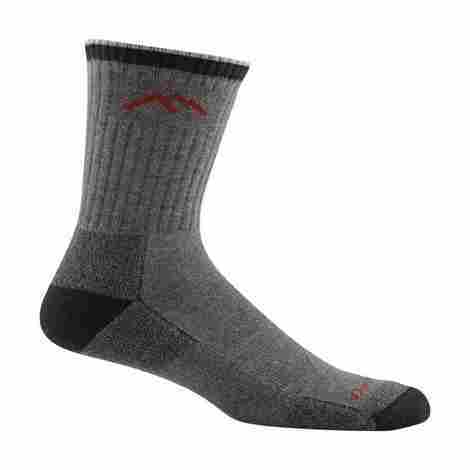 They last significantly longer than regular socks, and because of the way they're constructed--with 70% of their construction being Coolmax--you can do significantly more with them as well, all while keeping cool, dry, and comfortable throughout. 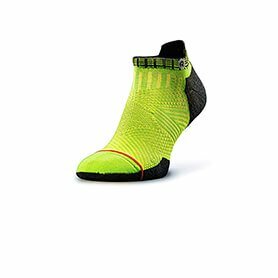 Another mid-calf length liner sock for those who are looking for those. This is an excellent choice if all you're looking for is to stay cool and dry. They're meant to be worn underneath other socks--they are quite thin but thick enough to be durable--and wick up the sweat and keep you comfortable. In addition, it's primary quality, besides that of all Coolmax products which keep you free of sweat, is to act as a second skin, thereby preventing blisters and sores. In short, if you're looking for a simple, everyday liner, you've found it here. You might be wondering what kind of nutcase thinks of the seams when choosing a sock? Whoever it is must of necessity be a nutcase. Right? Wrong! How many socks do you own where the toe seam actually protrudes beyond the actual cushioning of the sock? It's a small thing, but the details matter--with a carefully crafted smooth looped toe seam by Wigwam, you'll see the difference in comfort, mobility, and even aesthetics. Lots of socks and especially liners out there in the market pretend to do just that--prevent blisters. This isn't always the case and you should always do your homework. 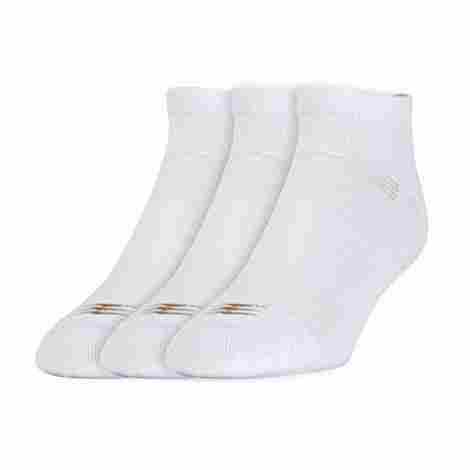 The bottom line here is that if your feet are constantly rubbing up against the inside of your shoe, or if you have sensitive skin prone to blisters, even if you're not doing any real arduous physical activity, get yourself a pair of Wigwam Coolmax Liner Socks. You won't regret it. Price does vary by size, but it doesn't vary by much. For a liner meant to be worn daily, the cost is more than worth it. You get something that'll keep your feet cool and dry and comfortable, and your wallet stays basically the same weight as it was before. Well, maybe it'll be a little lighter, but it's likely that you won't feel it. In sum, it's a good buy. Most of the socks on this list are fantastic for the summer time. They're breathable and roomy and designed specially to manage sweat. But what about when you want to go hiking in the cold? You could make do with the other socks on the list, sure--you'll just have to make sure you're prepared with your other gear, with the proper boots, with extra socks, etc. J.B. Extreme Technical Explorer Merino & CoolMax Socks help you skip that extra step. With a brilliant blending of both CoolMax and merino wool, you can now stay dry and cool and warm, all at the same time, even in winter conditions. But that's not all, folks. Its thermodynamic properties ensure that you stay cool in the summer too! With all of the benefits of CoolMax fibers built right in, its merino wool construction ensures that its even more breathable, that it'll maintain its shape and colors, and it will not wrinkle up. Still not sold? It's very specifically designed to prevent blisters as well. What's not to like here? Hiking and rock climbing are quite strenuous activities, wouldn't you say? Running, too--think about it: your feet fly into the air one after the other, defying gravity, only to be pulled back down to hit the ground. Thought about like that, it's a wonder why people even run! But the point is, running can tax your feet, especially your heels and the balls of your feet. Think no more of them. These carefully crafted socks are reinforced in those very areas for the explicit purpose of absorbing shock, to keep you safe and healthy even as you pound away at the pavement. A feature we haven't seen on this list yet. If you know anything about hygiene, you know that wearing socks too long can make you vulnerable to a host of health problems. It is also bacteria that cause the terrible stench associated with sweaty feet. These socks actually work to prevent those bacteria from growing. Just another reason why these socks are a fantastic choice for both the layman and the outdoors-man. Let's not waste time: these are an excellent buy. They're inexpensive, while at the same time, unbelievably useful, comfortable, functional, and breathable. Not only that, but you can expect to use these years round while maintaining the same level of comfort. This can't be said about most other socks. So, if a thermodynamic mix of CoolMax and merino wool is what you're looking for, look no further. So far, this list has featured all low cut CoolMax socks or Coolmax socks that come up to the middle of your calf. Here's something different. 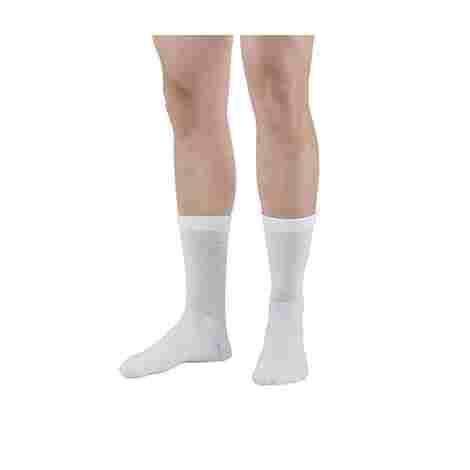 Some people feel more comfortable in middle cut socks than anything else, and for those people, this is the best option. For sports, hiking, running, biking, or even just lounging--anything, really--these are the perfect choice for aesthetic variety as well as functionality. They're breathable and comfortable. They also wick away sweat and keep you cool and dry. In other words, they're excellent everyday socks that can also be used for the gym and sports. 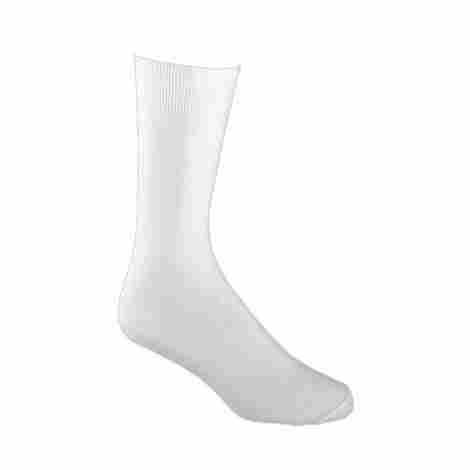 In addition to its moisture managing properties, the material of this sock was designed with odor protection in mind. In other words, this sock works to actually prevent odor-causing bacteria from growing in the first place. It's so effective, in fact, this growth preventing ability can be maintained at 99% even after washing the sock after thirty or more times! Now that's powerful. The bottom of these socks is cushioned so as to absorb shocks. As was explained before, this is something that you shouldn't overlook, especially if you're running for long distances, or hiking, or rock climbing, or whatever it is you enjoy. It's said sometimes that without pain there is no gain, but it's also true that too much pain will slow you down and make you less productive. You have to find the middle ground--and what better way than with these middle cut socks? These are pretty cheap and one purchase comes with three pairs. For all the benefits they offer, these are the really good buy. What's especially great about them is the fact that they offer a different look than other socks on this list. And just for that, they deserve a look. Maybe you're not looking for something for enhancing your performance on an uncharted terrain. Maybe you don't care for the gym or for running or any strenuous activity. You're a laid back person that's just looking to deal with aching and swollen legs. Or maybe you're a very athletic person with someone in your life suffering from varicose veins. Well, these are what you're looking for. Unlike all the other products on this list, the Ames Walker AW style 130L were designed not for athletic purposes, but instead for therapeutic ones. They're compression socks constructed with CoolMax to offer superior support and sweat management capabilities. If you're interested in these, that means you or someone you know has difficulty walking. For them, walking sends shooting pains up along their legs. These CoolMax socks, while not the end all be all of that particular issue, can go a long way in helping. 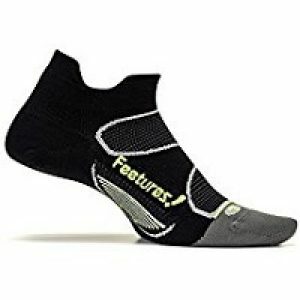 They're cushioned so that every time your foot hits the ground, some of the shocks is absorbed. It may not seem like much, but when you're in pain, every little bit helps, and it certainly doesn't hurt to be cautious and to be prepared. This is this sock's defining feature. It offers incredible support to those who need it. But despite being a compression sock, it isn't so tight as to constrict blood flow, like others on the list. Instead, it offers a moderate Moderate 15-20 mmHg compression. So it does what compression socks do, but is much more comfortable. For your medicinal or therapeutic needs, cost should be the last thing on your mind. In other words, if you need it to improve quality of life, you need it. Thankfully, the Ames Walker AW Style 130L is moderately priced and a feasible buy for all budgets. As you can see, there are a ton of options available to you when it comes to socks that incorporate Coolmax into their makeup. It all depends on what your needs are. This list itself was compiled so that you can match your needs to the perfect sock for you. It has it all–from athletic wear to daily wear and even to therapeutic wear. Of course, sometimes making a decision can become overwhelming. Especially when all the choices are actually high-quality. But remember that the smallest detail can make a huge impact on your performance or on your level of comfort in general. And your choice of socks is just as important as your choice of footwear, stylistically as well as when it comes to functionality. Perhaps even more so, since socks are charged with the task of being the first line of defense for your feet. That’s why it’s so important to give the following qualities a thorough look, not just to enhance your performance or quality of life, even in a small way, but also to ensure that what you’re buying is worth it and will last you a long time. This is perhaps the most important aspect of socks, and indeed of any garment or product. Every sock on this list has been constructed with some degree of CoolMax fibers. What this means is that these socks are specifically designed to keep your feet dry and cool–this is why CoolMax fibers are used. Your job is to ascertain how much sweat you’re looking to control. Some of the socks on this list are great for daily wear. If you’re standing on your feet all day, for work or for pleasure, then you’ll want to check out of one those, because aesthetically and functionally, those suit you better than anything that was specifically designed for sportswear. These are typically constructed with proportion less CoolMax fibers relative to the other fibers, and for good reason. 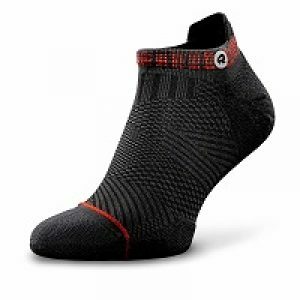 But if you’re looking to hike or go rock climbing, or mountain climbing, in a variety of different weather conditions–hot or freezing cold–then you’ll need to look at some of the other socks. These are constructed with more CoolMax fibers so that they work overtime to keep you dry and comfortable as you work. The style is another thing to keep in mind. You may not even be concerned with style–maybe all you want is something that’ll do what it’s supposed to do. Maybe all you’re looking for is functionality, something to help you on that trek across that difficult terrain you’ve always wanted to traverse. That’s totally fine. There are plenty of options on this list for you. There are liners you can wear your socks or socks you can wear on their own. Pay attention to the specs, so that if you need something that’s designed to prevent blisters or kill odor-causing bacteria, you can find it, hassle and stress-free. But then maybe you need something you can wear with shorts on a hot summer day, for no other reason than to take a stroll or meet some friends and get something to eat, chat, hang out, relax, that kind of thing. Your best bet would be one of the low cut or middle cut options featured on the list. What you need is on that list–bet on it–you just have to look. Money–we work so hard to get it, so whatever we do with it, we better make sure we’re getting our money’s worth! This list has been compiled to be pocket-friendly. Nothing on this list is too expensive. Actually, some of the socks on this list are legitimately dirt cheap while at the same time offering more than one quality pair per purchase! And even the most expensive socks on this list aren’t really that expensive if you think about it in terms of durability. Most socks–no matter what style or what reason you’re buying them for–will wear down and tear and cause all sorts of problems after some time. The more expensive socks on this list, however, were specifically designed to keep you cool and dry for a long, long time. In fact, some of the socks are even guaranteed by their manufacturers–one of them even comes with a lifetime guarantee! Now that’s value. Q: Are these socks good for year-round use? A: Yes and no. Some of the socks on this list are good specifically for the blazing heat of the summer. Others are thicker and better for the winter. Remember CoolMax fibers are designed to keep you cool and dry, but each sock on the list is constructed with varying degrees Coolmax. That said, there are socks on the list designed for daily use, for winter, summer, and spring–just do your due diligence and you’ll be fine! Q: Can I wear liners alone? A: You can, sure. It really depends on what you’re using them for and what kind of liners you’re interested in. Some liners are much too thin to use alone and were meant only to give you added support and comfort, along with superior moisture management. And if you’re hiking or doing something very strenuous, liners alone probably won’t cut it–in those scenarios, it may be better to double up with an appropriate CoolMax liner and a CoolMax sock to ensure maximum functionality. Q: Are these socks for men or for women? A: Again, it totally depends. There are some unisex options on the list, and there are some options that are for men or for women in particular. Depending on the sock you’re looking for and what you plan on using it for, you can probably use a men’s sock if you’re a woman, and vice versa. It really all depends on your needs–labels are just labels. If you can find a good use for something, forget the labels, and just use them to your advantage!